The Killers will play shows in Belfast and Cardiff ahead of their Glastonbury Festival headline slot this summer. The Las Vegas band will play Belfast's Ormeau Park on 25th June and Cardiff Castle on 28th June. How to buy The Killers tickets? 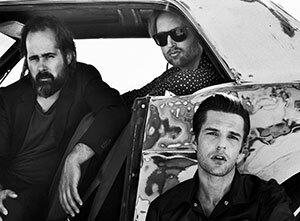 Tickets for The Killers' 2019 UK tour dates went on general sale on Friday 29th March at Ticketmaster.co.uk and SeeTickets.com.